Sports Medicine, and especially sports traumatology, has boomed with the boom in sports. ‘Sports-for-health’ is part and parcel of the modern mind. But we should always remember that sport-for-recreation, with its avowed end of ‘well-being’ (better health, both mind and body) is completely different from competitive-sports, and its commercial intensity. This is reflected in their injuries. On May 5th 2016 ESSKA-ESMA was created, to oversee Sports Medicine in Europe, both competitive and recreational. Our Board is determined, through its 2018-2020 programme, to confront the larger problems of Sports Traumatology, Rehabilitation, Prevention and Return-to-sport. It is time to promote, but it is also time to evolve; to develop mutual trust and assistance with other Institutions and, especially, with all those surgeons, sports physicians, physiotherapists, sport-scientists and coaches who look to ESMA, and under ESSKA’s protective umbrella. We have established four research groups: the Physical and Psychological Outcomes for retired professional athletes (PPO); the Current Prevention-Strategies in different sports (CPS); the Epidemiological Development of Injuries in different sports (EDI), and the Health Aspects for Children in sports (HAC). 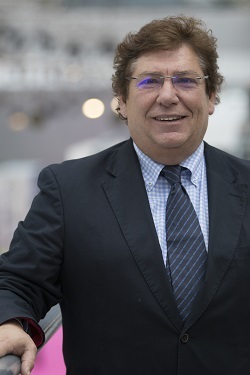 Werner Krutsch is our Editor-in-chief, with responsibility for an ESMA book, “Injury and Health Risk Management in different sports (a hand-book for decision-making)”, which will be ready for the next ESSKA congress in Milan, 2020. Our projects also include an ESSKA-ESMA Observational Visiting Fellowship in professional rugby-union, under the supervision of Michael Carmont. We have a lot of work to do, and a very good group to do it, but we count on our Ambassadors. We count on you all, every one of you, to bring us new ideas and new projects. And your premise must be that we are always here to support you, so as to further our mission — a more scientific support for sports injuries, and their treatment, and a safer praxis for our athletes. European Sports Medicine Associates (ESMA), a Section of ESSKA, evolved from ESSKA’s Sports Committee and was established on 5 May 2016.